Rio Salado College | RioNews: Start Here-- Go to ASU, NAU and UofA! Start Here-- Go to ASU, NAU and UofA! 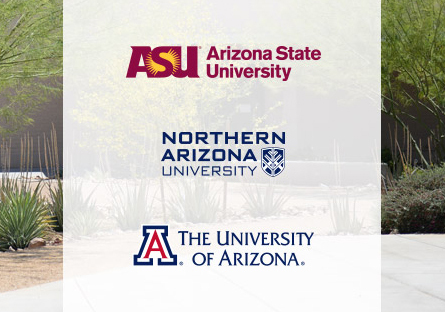 Our Maricopa Community Colleges transfer pathways are designed to save you time and money-- and help you seamlessly transition to Arizona State University, Northern Arizona University and The University of Arizona! Transfer Pathways lay out specific courses that put you on track to obtain your bachelor’s degree. If you meet all of the program requirements, you can smoothly transfer to one of Arizona’s four-year universities. Pick your Arizona pathway now!